We had to say goodbye to the great lakes and Lake Huron was our last stop. 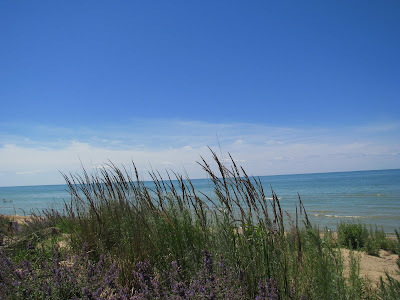 We stopped at the beach outside of Bad Axe, Michigan and took a few pictures on a beautiful sunny afternoon. That morning I had visited a friend's farm and took several pictures of his 200 acres. They had just harvest several fields that week.